Thank you for taking time to visit our website for Annunciation Catholic Church! We hope that you will find what you are looking for. If not, please do not hesitate to contact our Parish Office. We look forward to speaking with you and meeting you in person. If you are visiting our church for the first time, please know that you are very welcome. Some things to know that might be helpful on your first visit to our Parish. We offer Sunday School during the 9:00 AM and 10:30 AM Masses on Sundays during the school year. Sunday School is available for children 6 months to 3 years old and is located at our Parish Preschool. Registration is required. In each pew, there is a hymnal with all of the words used during the Mass and a daily listing of all of the readings for each Mass. We also use projected song sheets on the wall for Mass parts and songs that are not in the Hymnal. 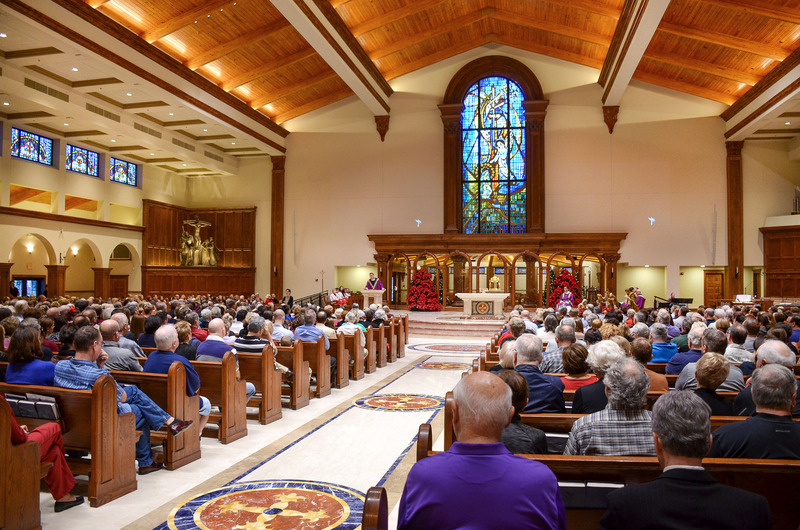 The 5:30pm Mass on Sunday nights is interpreted for the deaf. It is also features our Contemporary Praise band. Ready to get involved? Click Here to visit our Ministry / Opportunity page. If you would like to register in order to receive envelopes for contributions and to receive all of our Parish communications, please keep reading. Thank you for your interest in our parish community. Please download our Registration Form 2017 (it is a fillable pdf and it works better if you download it and open it on your computer) and email the completed form to Vickie Fordham at vfordham@annunciationorlando.org or print it out and return it to our Parish Office. Registration Forms are also available in our Parish Office. Sunday: 9:00am to 12:00 noon. For additional information about how to register at our parish, please contact Vickie Fordham at vfordham@annunciationorlando.org or 407-869-9472. Thank you!